Golden on the outside, bright green and tender on the inside, these easy sweet pea fritters with yogurt sauce make a delicious snack or appetizer. I am of the firm belief that peas and mint much like berries and cream are one of those food matches made in heaven. If you are in agreement with me, I suggest you grab yourself some of each and make these bite-sized fritters. These pea fritters are little packages of green goodness that thankfully come together rather quickly. 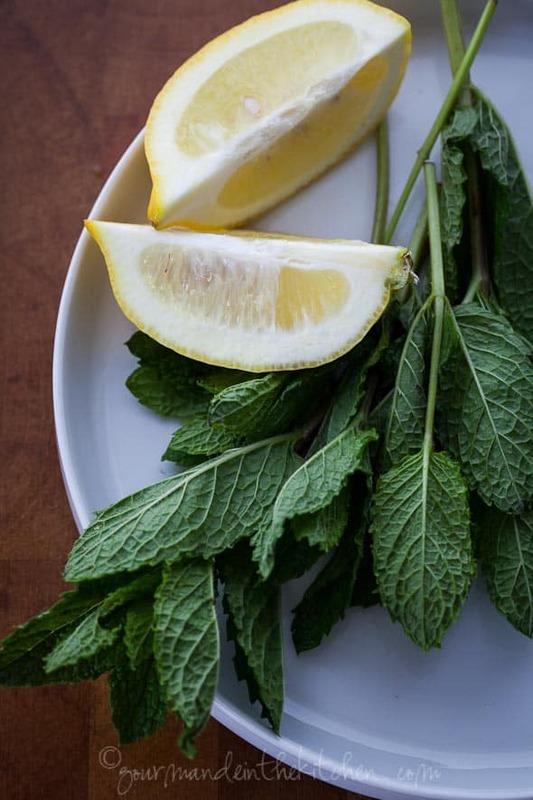 They’re loaded with fresh mint, lemon and feta which give them a fresh, bright taste. Tender, mildly sweet peas are quickly blanched and join some freshly chopped mint, green onions and a bit of grated lemon zest for an added citrus-y zip. I toss it all into a fritter batter made of coconut flour, eggs and feta with a touch of salt and pepper then let it rest for a few minutes before it meets the oil. Heaping spoonfuls are then quickly pan fried until lightly golden and crusty on the outside. The centers remain soft and tender while the exteriors caramelize and becoming slightly browned and crisp. 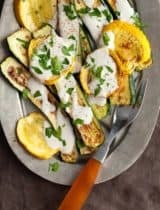 Served warm from the pan with a tangy yogurt-mint sauce for dipping, each bite bursts with zippy spring flavors. 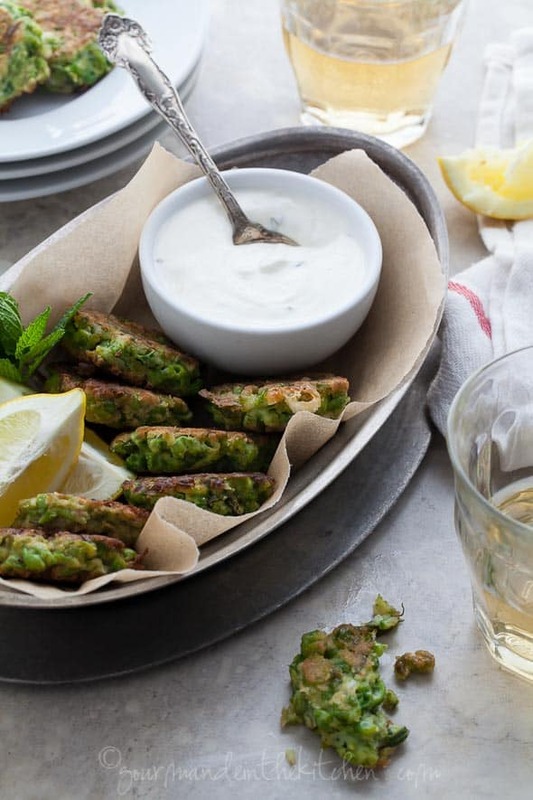 But I think the feta is what really sets these fritters apart; it melts ever so slightly into the light green batter as it cooks, adding a salty creaminess to every bite. Make them bite-sized and serve them as an appetizer or as a light meal with a side salad and watch them disappear. 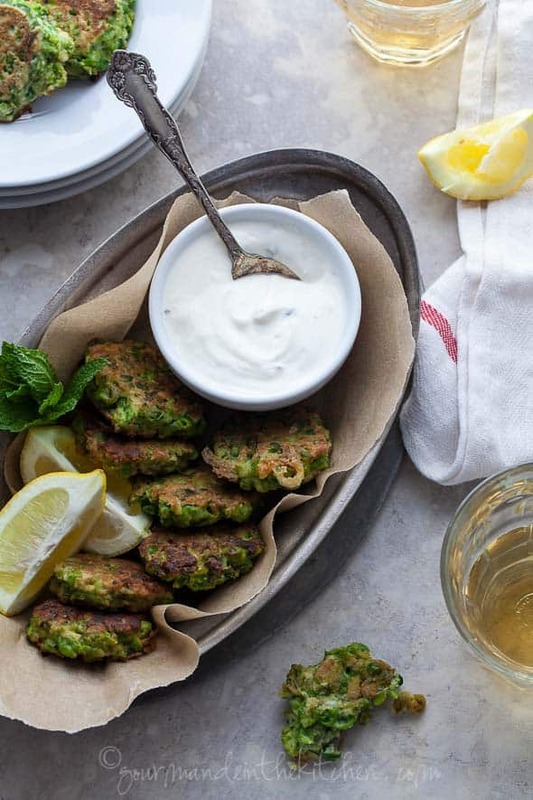 These easy gluten-free pea fritters make for a delicious snack or appetizer. They are golden on the outside, bright green and tender on the inside. Whisk all ingredients in a small bowl until smooth. Season to taste with sea salt and freshly ground black pepper and drizzle with olive oil. 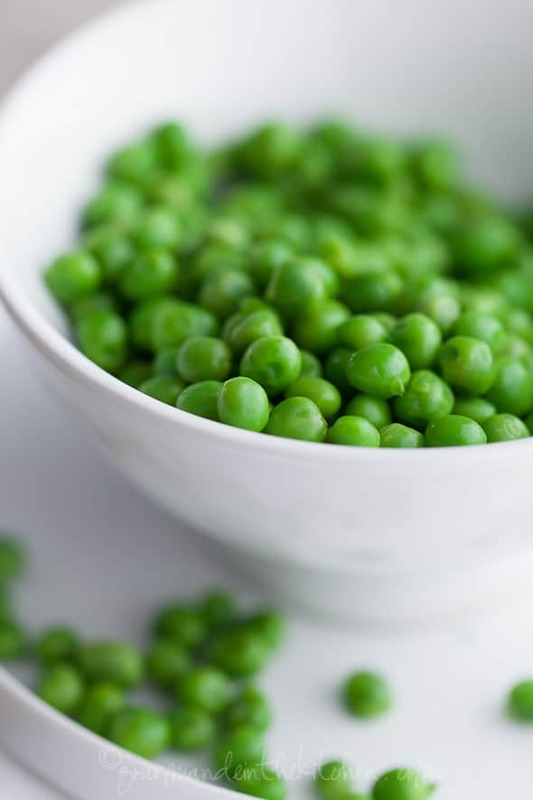 Cook peas in a large saucepan of boiling salted water until just tender (about 3-4 minutes). Drain and mash coarsely using a fork or pulse briefly in a food processor until chunky. In a large bowl whisk together the egg, green onions or shallots, mint, lemon rind, feta, coconut flour and salt and pepper. Add in the pea mixture and mix thoroughly. Set aside for 5 minutes to allow the coconut flour to absorb some of the moisture. 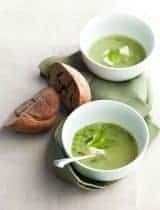 Heat a thin layer of coconut oil in a medium frying pan over medium heat and place heaped tablespoons of the pea mixture in the pan pressing down the mixture into a disc. Cook in batches flipping when golden on one side (about 2 minutes each side). Drain fritters on parchment paper if needed. 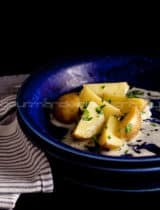 Serve immediately with the yogurt sauce on the side and additional lemon wedges and a green salad if desired. How delightful Sylvie! Love the combination of flavours here. Definitely making these soon! WOW! These look as beautiful as delicious! These are so perfect I want to slap someone. I love anything frittered! Never made fritters out of peas, but it sounds great. I completely agree with your pea and mint theory. These fritters look so tasty! These fritters sound amazing! 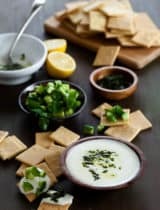 I love the mint yogurt dipping sauce! Perfect spring lunch! Peas and mint do go hand in hand! This is a perfect starter or base for some Salmon. Beautiful! What a fabulous spring recipe, Sylvie! These fritters look absolutely delicious and such a nice use of seasonal produce. Your photos are incredible! 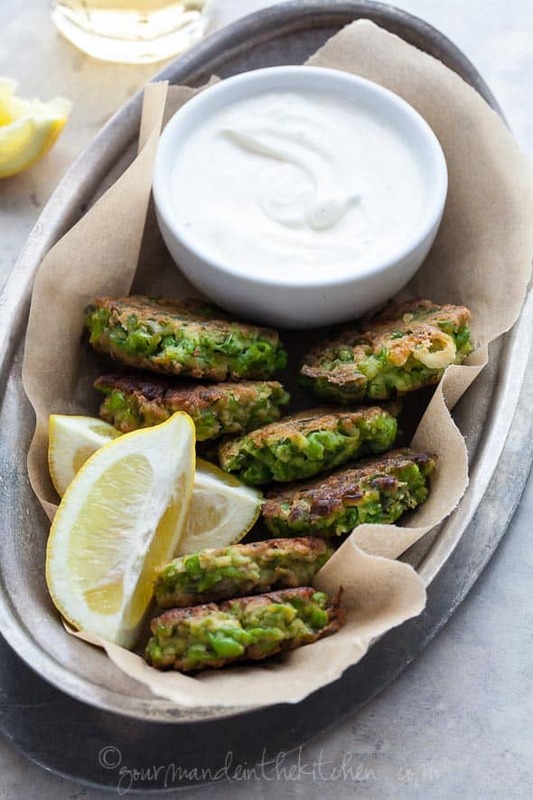 Pea fritters with tangy cream! These have my name on them. So perfect for spring. These fritters are delicious. I added a wee pinch of fenugreek to the mix, cooked them, and put them in pita bread, added yogurt sauce. Thanks for the idea! That was quick! So glad to hear that you enjoyed them. You had me at the yogurt mint dipping sauce. Beautiful as always Sylvie. These would look appetizing from three metres away! 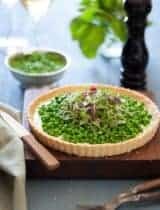 Peas and mint, of course, but have not made them into fritters and these look seriously good!! it's 12:30pm and I'm starving and I could eat 50 of these right this minute. They look wonderful! Peas are one of my favorite things and I am so inspired to try coconut flour. The pictures take us to Springtime. These look divine. Peas and yoghurt and mint are a match made in heaven. These look lovely, Sylvie! I make a similar fritter with zucchini and flax seed and a yogurt dipping sauce. Delicious and healthy! These look amazing!!! Totally making these tomorrow! Yea! Beautiful pics and love the gluten-free recipe, Sylvie! I love how green and vibrant these fritters are! I've always been a fan of peas and mint on their own, but haven't yet gotten to combining the two flavors. These fritters sound so great for a light spring meal, and what a wonderful way to use coconut flour! Loaded with goodness, these are just gorgeous Sylvie. Wow! Love the flavours. Fritters with feta??? Where do I sign up? I don't even have to make these to decide if I like them... I already know! Heading to the farmers market tomorrow and peas and mint have been added to my list! These look amazing! Love fritters! These fritters look amazing :) that dipping sauce sounds wonderful! I am in agreement with you Sylvie and wishing some would appear for breakfast. What a unique dish but all ingredients I love; a must make. Love love your pictures, have being following it from when it was born...keep it up..my inspiration.. This is really beautiful. 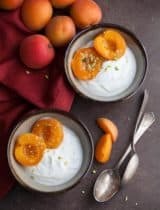 Have you found a good "dairy free" alternative for yogurt sauces yet? I've yet to find one. But I bet this would be delicious with a light vinaigrette for dipping as well. You could try it with cashew cream or make a tahini dipping sauce instead as well. What fun finger food - love this combination in fritter form! Peas and mint are made for each other. These fritters sound SO tasty, Sylvie! I tried making some pea fritters recently, and they stuck to the pan like crazy, resulting in "pea hash"instead. These look so tasty, I'm determined to try again! I've found that a cast iron or enameled cast-iron pan works well for those sticky fritter moments. These fritters, are like, beyond amazing, Sylvie! Oh this is the way to eat your vegetables - terrific! I would inhale the whole basket. Definitely a perfect match - and even better with the zing of lemon and yogurt. Just beautiful and a wonderful summer lunch! These fritters are the perfect springtime appetizer & meal! I have to admit that I have yet to try peas and mint together -- yep, I live in a cave. Hehe:) Fresh peas are now in season so now it my chance to give your fritters a try. They look yummy! Would it work to use regular flour? Or is there something specific about coconut flour? I used coconut flour to make this recipe gluten-free and grain-free but yes you can use regular flour however it will not be the same amount as the coconut flour. Coconut flour absorbs much more liquid so you will have to experiment and see how much regular flour will create a batter that holds together without being too wet or dry. Unfortunately I have not tested this recipe with regular flour so I can't say how much that will be. Hope that helps! I had same question but I am going to try making with regular flour and report back. Oh, these look superb! I love the combination of peas and mint. Your images are just stunning. I agree with you about the combination of peas and mint. 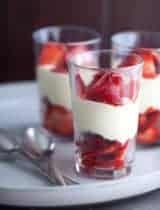 Will be trying this scrumptious looking recipe this weekend. Those fritters look incredible. I love the shot of the peas, too. Absolutely gorgeous. Sylvie, I hope to one day be a guest at your dinner table! Awesome! 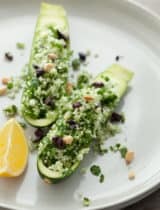 I don't fancy peas quite as much, but I can imagine that the combination of peas, mint and feta works really great and ends up being quite tasty, even for non-pea-lovers. I'll give it a try! Love these fritters! So delicious. Your photos are lovely. Oh my goodness those look insane! I was working on a bacon and brussels fritter today! These are up next!